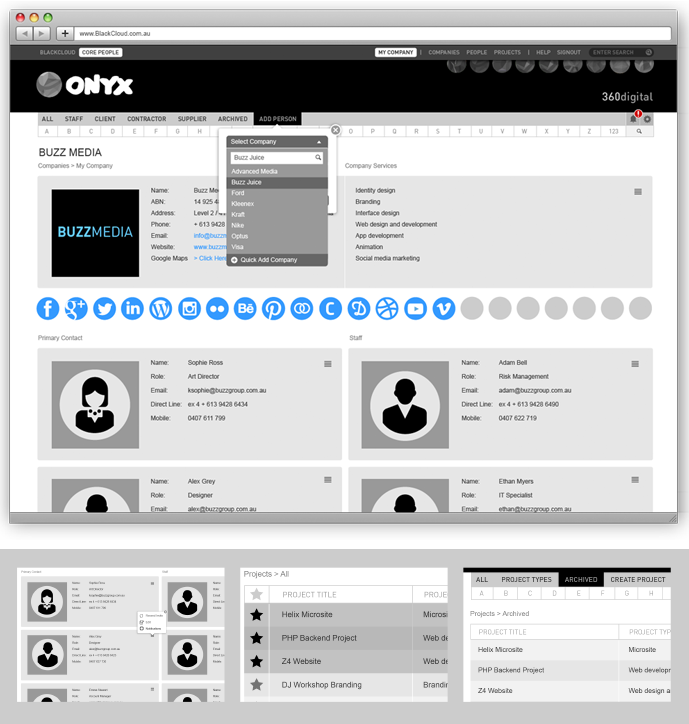 The approach for the interface design for ONYX Core was a simple, user friendly flat colour design related to the black of the ONYX gemstone. 1. Organise your team and client’s details within one simple interface. 2. Stay up-to-date by marking clients and projects as favourites for easy access. 3. Keep your entire team on track with projects and clients. Archiving projects that have been delayed for later retrieval.